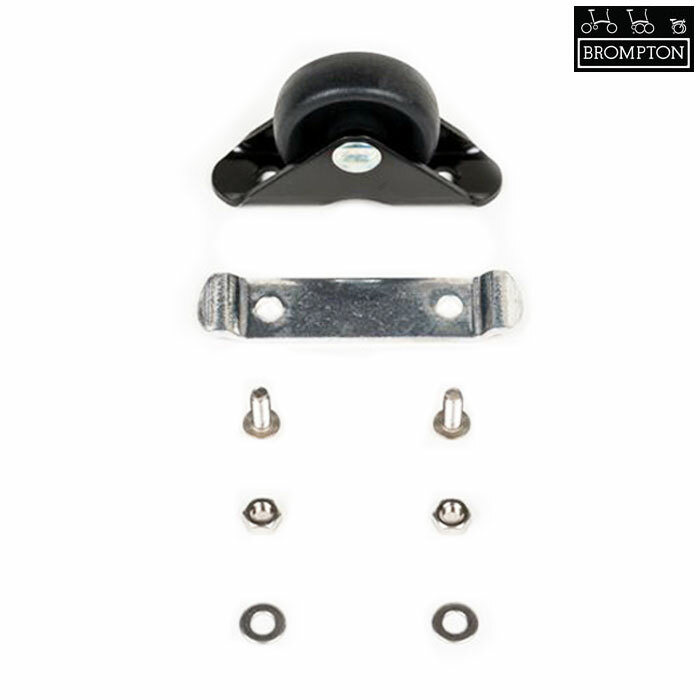 Rubber roller / metal housing, fits to the rear mudguard, fits Bromptons without a rack and also serves to clamp 2 of the mudguard stays. What size is the screw of the Mudguard roller, suppose I need to replace one. These mudguard rollers require two M4 x 10mm bolts.